Opus is an owner-managed fund administrator launched in 2006 as a result of the spinoff of the senior management team from a leading competitor. Providing experienced accounting and investor services professionals, coupled with leading technologies deployed in an innovative manner, Opus offers industry leading fund administration solutions to blue chip institutional hedge fund managers. 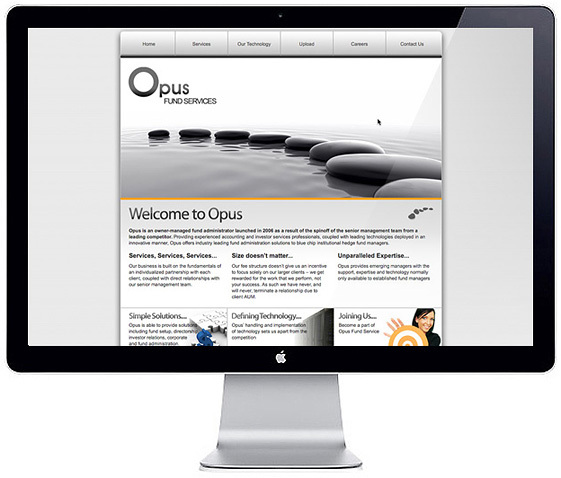 Opus required a new site to promote their online presence and a feature that they could offer over their local competitors, the site was developed by thebast.com from design concept to build.